The Baltimore Ravens had a very busy day on Saturday, the final day of the 2018 NFL Draft. After the flurry of trades continued into the later rounds, the team closed with eight draft picks on day three. In total, the Baltimore Ravens drafted twelve players. Most of the players drafted were to fill holes in the roster. Despite all of these players slipping into later rounds, all will have a chance to compete come this August. The Ravens draft picks on day three included a cornerback, an inside linebacker, two wide receivers, a safety, an offensive tackle, a center, and a defensive lineman. 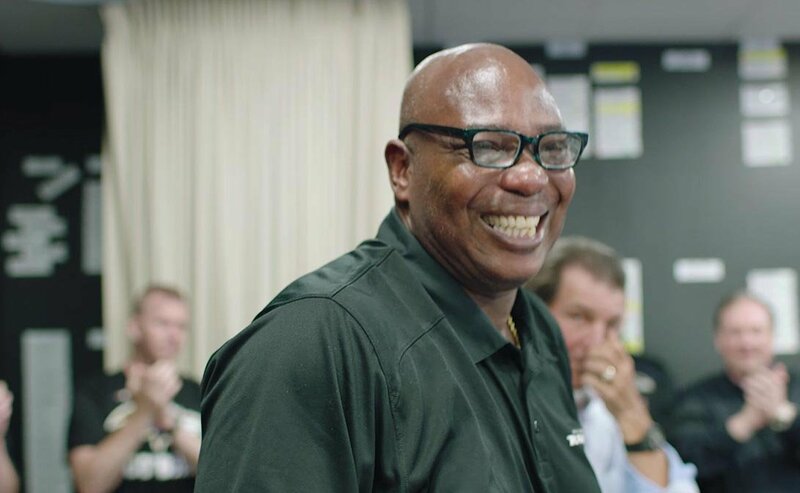 It would have been a major disappointment had Ozzie Newsome not drafted at least one Alabama player in his final draft as general manager. He ended up selecting two, the first being Anthony Averett. Averett was selected with the 118th pick, in the fourth round. The Nick Saban coached cornerback started the past two seasons with the Crimson Tide, participating in Alabama’s 2018 National Championship Title. Averett is 5’11”, 183 lbs. He is a very athletic cornerback who plays close to receivers. He’s a good tackler as well. Averett also has potential to play in special teams for the Ravens, as he participated in it at Alabama. The Baltimore Ravens filled a need by drafting inside linebacker Kenny Young with the 122nd pick in the fourth round. Young played well at UCLA. In his senior year, he registered for 110 total tackles, 8.5 for loss. The Ravens currently are in a sticky situation at inside linebacker. Patrick Onwuasor, last year’s starter next to C.J. Mosley, played fairly well, but the Ravens are looking to upgrade the position. The better of the two linebackers will become the starter. The competition should also elevate both players’ level of play as well. If Onwuasor retains his starting position, Young should be able to make an impact at special teams, and potentially find his way into linebacker rotations. All that you need to know about Jaleel Scott, is that catch. The 6’5″, 218 lbs wide receiver has great hands. Since the disappointment of Breshad Perriman, and the rest of the wide receiver corps, the Baltimore Ravens are trying a new brand of receivers. Scott may not be the fastest guy on the field, but his catching ability paired with his height makes him deadly. Scott’s senior year was by far his best season with the Aggies. He caught 76 passes, for 1,079 yards, and 9 touchdowns. His physical talent is just spectacular, and he may prove to be the most underrated wide receiver of this draft class. This pick is definitely one of my personal favorites. Jordan Lasley is the anti-Jaleel Scott. The 6’1″, 203 lbs wide receiver is a speedster, but the Ravens are sacrificing catching abilities. Lasley dropped plenty of passes from Josh Rosen during his time at UCLA. In that sense, he is a more traditional Ravens wide receiver, harkening back to Torrey Smith, the most successful Ravens drafted wide receiver. Unlike Torrey Smith, however, Lasley has off the field issues. He was twice arrested in 2016, once for possession of alcohol, and once for a fake ID. Lasley was also suspended by UCLA for breaking team rules in 2017. His main task for Baltimore will be to clean up and acclimate to NFL life. Even if Lasley doesn’t pan out in the NFL, the Ravens were able to masterfully work this draft to acquire a plethora of picks. The risk is minimal. Before the Baltimore Ravens drafted DeShon Elliot, I had forgotten he was still on the board. Frankly, he shouldn’t have slid all the way into the sixth round and is a huge value pick for Baltimore. The 6’1″, 210 lb Elliot is aggressive and a hard hitter. His ball skills are excellent and often finds himself in position to make a pick, as his instincts are outstanding. With Eric Weddle getting older, the Ravens now have a safety they can try to develop to be his heir apparent. And if he ends up flaming out, the sixth round value more than covers the risk. He won’t flame out though, as I believe his instincts, love of football, and pure physical talent, will carry him to a successful career in the NFL. In the sixth round of the draft, the Ravens double dipped with another tackle. Greg Senat is a freak of nature. He stands at 6’6″ and weighs 302 lbs. The Ravens feel that the small school product is a low risk, high reward project at tackle. Baltimore drafted Orlando Brown earlier in the draft, who will likely end up as the starting right tackle. Behind him, Senat can develop, similarly to how Ryan Jensen did behind Jeremy Zuttah. Senat is athletic and played basketball at Wagner before the football coaches convinced him to give tackle a shot. Perhaps if he had played football for all four of his years at Wagner, he would have been drafted higher. Regardless, the Ravens are getting a solid project tackle, at a very good value in the sixth round. As drafting just one Alabama player wasn’t enough for Ozzie Newsome, the Ravens’ general manager reached out to add depth at the center position. With the departure of Ryan Jensen to the Tampa Bay Buccaneers, the presumed starter is Matt Skura. While Skura will likely hold on to the role, the Ravens wanted to add a developmental prospect, who could one day become the starting center if needed. Bozeman, at 6’5″, 316 lbs, is a body that could do just that. He has the size of an NFL center and should have an opportunity to develop into a solid one by the time he takes to the field. To conclude Ozzie Newsome’s last draft as general manager, the Baltimore Ravens selected the small school defensive lineman, Zach Sieler. How fitting, as Newsome has hit on a lot of small school prospects throughout his career. Sieler fits the trend of size that the Ravens were looking for later in the draft. He stands at 6’6″ tall, and 290 lbs heavy. He’s a powerful defensive lineman, who pushed his way through offensive lines with ease. In his last two years with Ferris State, he registered an outstanding 50.5 tackles for loss and 26.5 sacks. Sieler will fit into a crowded defensive line front in Baltimore. Next Next post: Will Breshad Perriman be on the Ravens in 2018?